A general idea of what I’m working with. 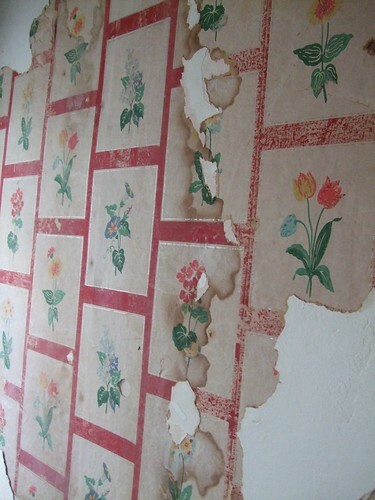 Here’s what the old wallpaper looked like when I started peeling. Progress made. 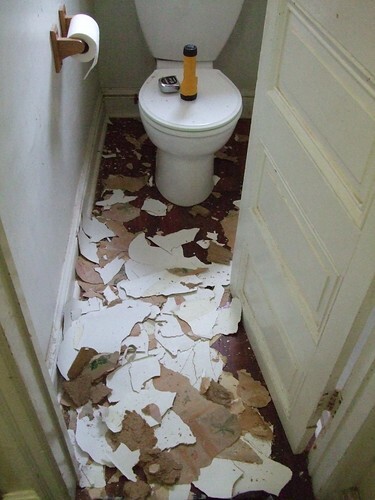 I ended up peeling a lot of wallpaper in no time! However as I began to keep peeling I realized that the exterior wall was covered by a weird 50’s wallboard that was super soft and not worth painting over. 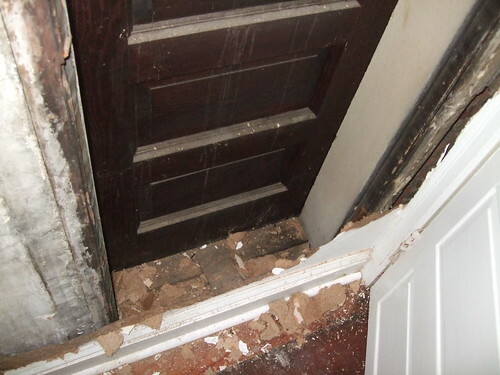 So I poked a small hole…and then the next thing you know I’d torn all the wall board down and discovered an old exterior doorway that gave me an extra 8″ in depth where I’d be able to create built-in shelves!! 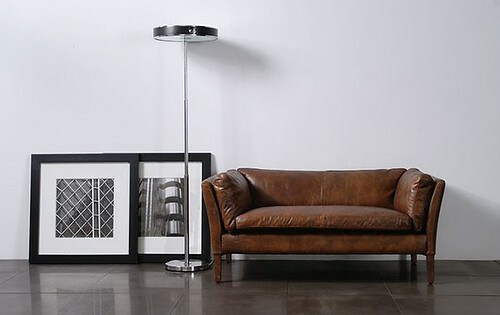 In a space this small…every centimeter counts! Wow!! I was thrilled to have found an old doorway! At the bottom of the pic is the old baseboard. I’m so thrilled!! Now I have to either sheetrock or use beadboard to close it in. (Oh, and install some foam insulation.) I can’t wait to get you the after pics soon. 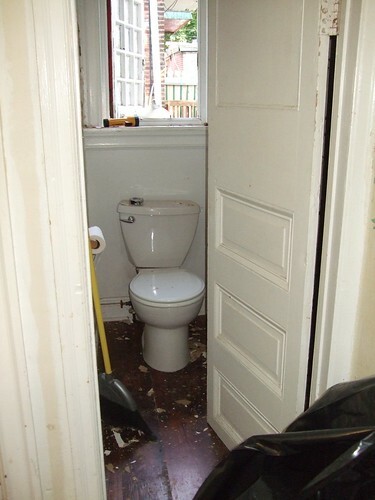 Lastly, I did some digging online and found the perfect sink for my teensy little powder room. It’s only 8″ deep! If you have a teeny, tiny space and are looking for a sink, I can’t recommend this one enough. It’s from the Whitehaus Jem collection and is so cute in person. Vintage Tub & Bath had the cheapest price on it, plus free shipping.